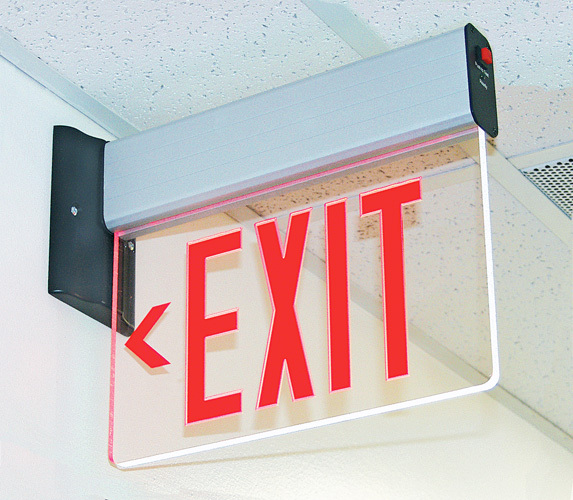 This New York Approved Exit sign offers a variety of installation options. 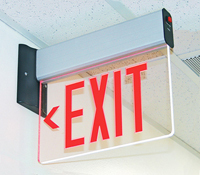 Take advantage of style and versatility with our Best-Selling Edge-Lit Exit Sign. • Includes the option for a premium Nickel Cadmium rechargeable battery. • Sleek, clear, mirror or white background matches with any décor. • Premium high-output LEDs save energy, while the UV-stabilized acrylic panel offers a sturdy, long-lasting design. Single-Sided or Double-Sided? Select the number of faces and the back panel coloring for your sign. Select the plate finish / housing color. It looks great in our office. Thank you!